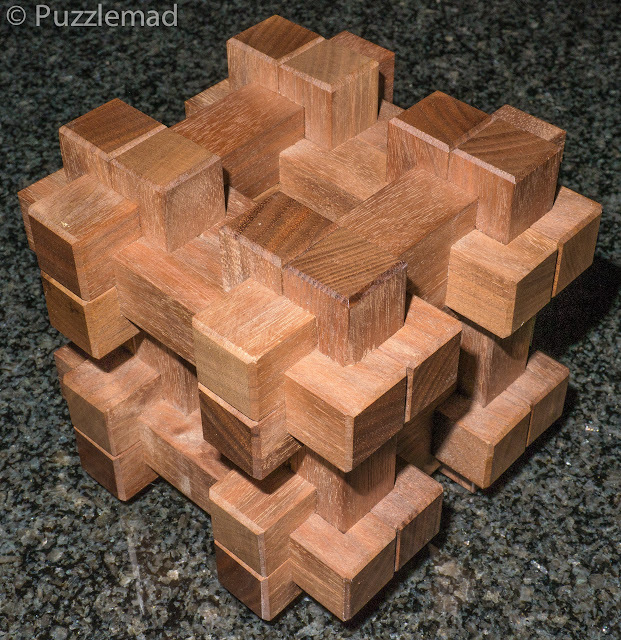 Puzzlemad New Additions: What a gift!!! 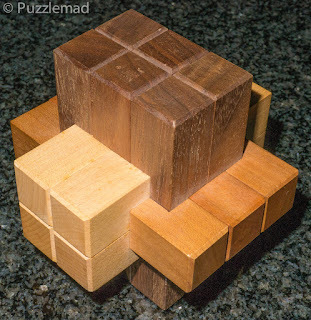 It takes 7 moves to remove the first piece"
So far I have only found the first 2 moves! 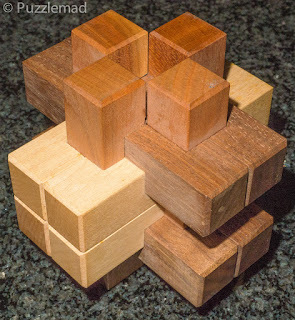 These 2 puzzles are the Wausau 81 and 82 puzzles (also designed by Bill and made by Jerry) - they now complete the set of 4 in my collection. I bought and wrote about the first 2 that I obtained way back in 2011 (Wausau 83 here and Wausau 84 here). These two puzzles were also gifts from my amazing friend and were solved very quickly after I received them using lock-picking techniques! I now need to rearrange my main display to make space for them!